Local tradesman from start to finish. 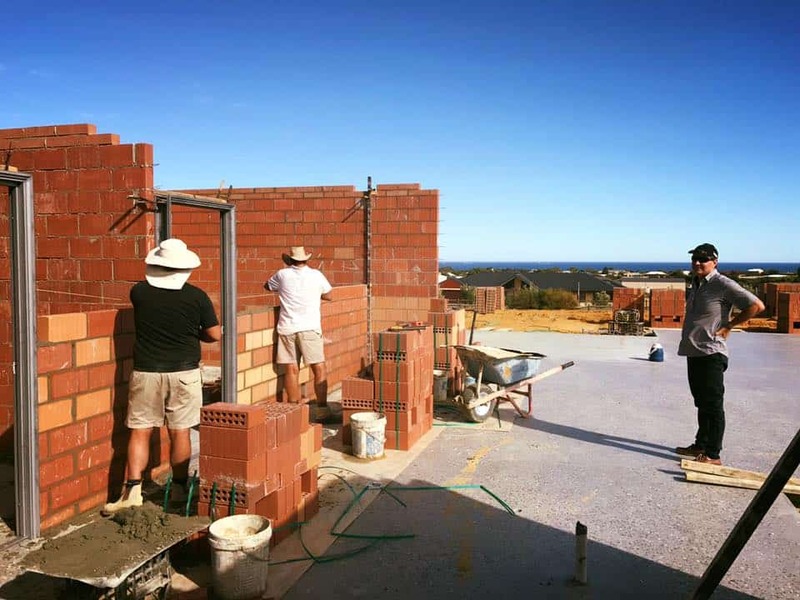 We were recently featured in the Geraldton Guardian in an article about the building industry in Geraldton. We’ve survived our 1st year in business and are looking forward building houses here in Geraldton for many years to come. Another brick in the wall After the slab has cured, our brickies Reece and Warren are off to a flying start with the next step in building this beautiful home at White Peaks. The weather has been kind allowing these guys to make some serious progress on this build. Stay tuned for the next update!